You'll be able to play new versions of some old games on your PlayStation 3 soon. 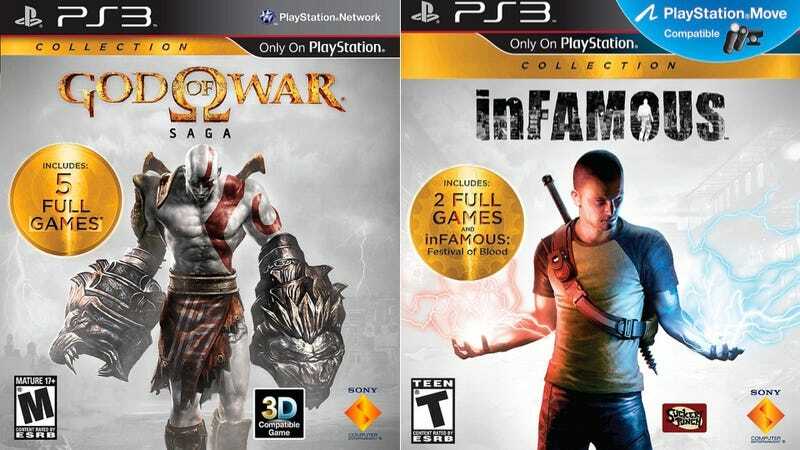 New collections of God of War, Infamous, and Ratchet & Clank are all coming to PS3 on August 28, Sony said today. They'll be available "starting at" $30, Sony says. Update: Sony's Cristian Cardona has taken to the comments of the PlayStation Blog to specify that the God of War and Infamous collections will be $40. He also pointed out that 3D will only be available in the God of War: Origins Collection, not God of War III. You'll also be able to buy some of these games individually on the PlayStation Store.